I am pleased to introduce a new line from a renowned in British Company who are known for their exquisite 100% cotton handmade. Quintessentially English, contemporarily chic. 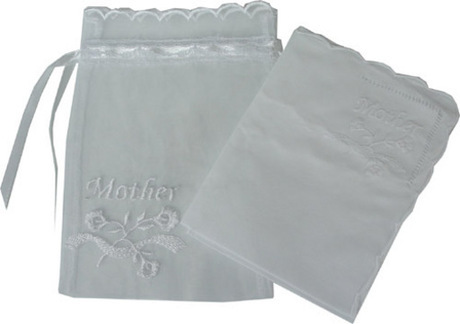 Bringing yesterday into today, the hankies are packaged in a lovely little white bag with ribbon drawstrings - Mother embroidered both on the bag and hankie. Making for a brilliant present. Perfect for the Mother of the Bride or mother in law of the bride to be.